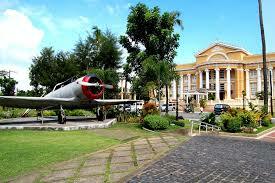 The Pangasinan Capitol Building serves as the seat of both its executive and legislative branches of government. It houses the offices of the Governor, the Vice-Governor and the Provincial Board Members, and several provincial government departments. Located in the vast expanse of the Capitol Complex, visitors will find lush parks and gardens, tree-lined avenues, palatial structures and edifices and a panoramic view of a sunset at the Gulf to be perfect complementary components of a history well told. One of the Capitol Complex’s unique features is having its own extensive beach front. The Capitol Beach front is an ideal venue for campings, beach concerts, sports events like beach volleyball, beach soccer, water sports like kayaking and skim boarding, and a lot more. The beachfront has several dozens of free cottages for public use. Swimmers are safeguarded by beach lifeguards and the place is well-lit and well-secured. Constructed in 1927, this edifice, popularly became the “Grand Provincial Auditorium” as it served as venue for major functions in Pangasinan. 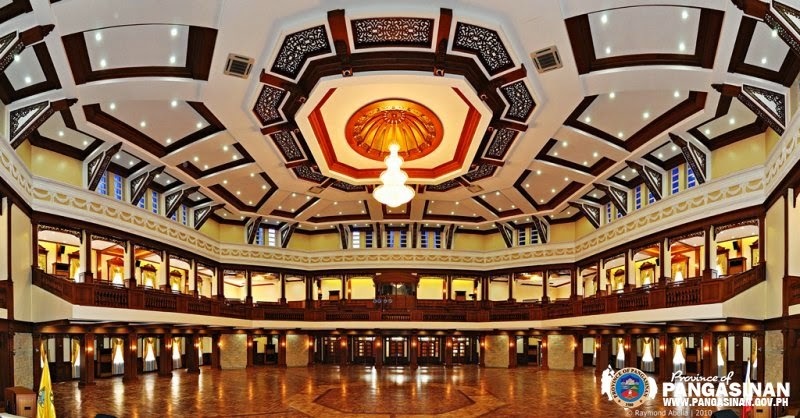 Restored to its majestic architecture and refurbished with state-of-the art facilities in 2008, it was easily branded by its clients and the public as the Cultural Center of Northern Philippines. It is now the top choice venue for concerts, theatre plays, exhibits, social and major government functions, and conventions. For bookings, contact PTCAO. Fronting the historic Lingayen Gulf, the Capitol Building has been a witness to the valor of Filipino patriots and fighters along with the allied forces led by Gen. Douglas Mac Arthur who landed in the shores of the Lingayen Gulf for the Liberation of Luzon. The Lingayen Gulf was one of the strategic places during World War II. Japanese forces under Gen. Masaharu Homma landed on the shores of Pangasinan in December 1941, a few days after the attack on Pearl Harbor and started the Japanese occupation of the country. In 1945, during the Battle of Pangasinan, American troops landed on the beaches of Pangasinan and joined Pangasinense guerrillas together with the Philippine Commonwealth troops to free Luzon from the Japanese. 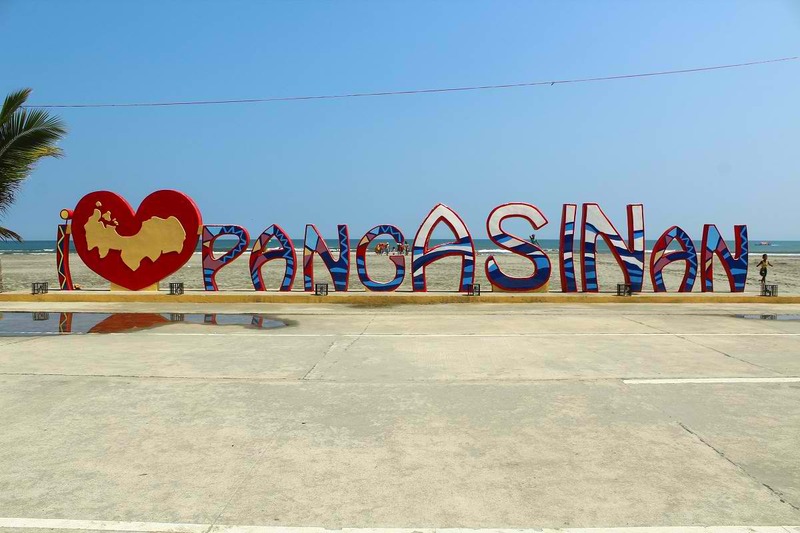 Every January 9, Pangasinenses commemorate the landing events at the Veterans Memorial Park in honor of the allied soldiers and war veterans. The 3.5-hectare Narciso Ramos Sports & Civic Center is the premiere sports and recreation center in Pangasinan. With its international standard track and field oval, swimming pool, grandstand (max. 16,000 bleacher seats), gymnasium (max. 2,500 seats), dormitories (698-bed capacity), outdoor courts, bowling alley, sports gym, lagoon, and a restaurant, it is a one-stop sports, civic and recreation center all in one. 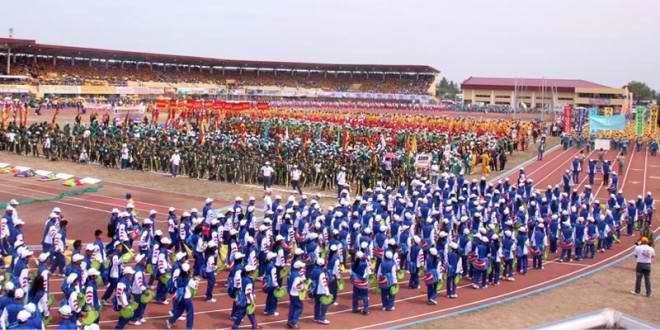 It served as a venue for numerous national and international sporting events including the Palarong Pambansa in 1995 and 2012. NRSCC is open to the public seven days a week and charges reasonable rates for its different facilities and amenities.